In recent months here, we've taken a look at the careers of some mathematically trained people from Donegal and Wexford. This month, we focus on people associated with the northeast county of Armagh. As usual, those listed started with a degree in maths or a related field, unless otherwise indicated. We also include some astronomers from down through the ages who worked at the Armagh Observatory. Of course, some lives (and careers) drifted far from the mathematics studied in university. Journalist and biographer William Monypeny (1866-1912) was born in Ballyworkan, Portadown, Armagh, and educated at TCD. He had a colourful life as a newspaper man in London and Johannesburg, later writing the first biography of Benjamin Disraeli. Richard Best (1869-1939) was born in Richhill, Armagh, educated at TCD, and had a distinguished career in the judiciary. Minnie McKee (1883-1975, later Capper) was born in Lurgan, Armagh. Not long after graduation from QUB she emigrated to Canada and married. Thomas Atkinson (1905-1942) was born in Armagh and educated at TCD. His short career was spent in the British civil service in India and Burma. Margaret Boland (1922-2007) was born in Armagh and educated at TCD, where she was a maths scholar; her career was spent in the civil service in Belfast. The information below is extracted from the Annals of Irish Mathematics & Mathematicians, which currently documents over 3500 people. Its spin-off Atlas of Irish Mathematics highlights some of the more notable careers, county by county. There are undoubtedly instances where the designation "born in Armagh" could refer to the town or more generally to the county but we don't know which is more accurate. Hence, some county births may be mistakenly attributed to the town on the map. Corrections, as always, are welcome. 1. Astronomer Thomas Robinson (1792-1882) was born in Dublin and went to school at Belfast Academy. Educated at TCD, where he was then a Fellow and authored the book A System of Mechanics, he worked at the Armagh Observatory for six decades. 2. William Morgan (1845-1913) was born in London, and educated at TCD. 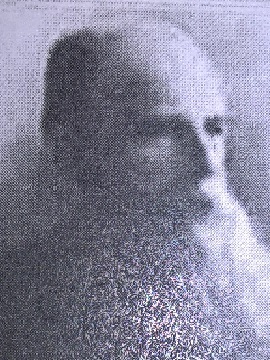 He was soon appointed headmaster of the Royal School in Armagh, where he taught for over two decades, following which he served as a clergyman nearby. 3. Robert Russell (1858?-1938) was born in Armagh and educated at TCD, where he was a maths scholar. He then taught there for over three decades, including a stint as the Donegall Lecturer. 4. 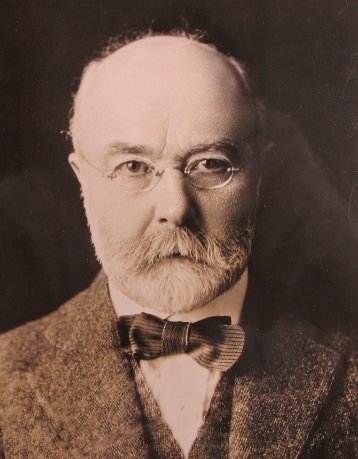 William McClelland (1859-1928) was born 4 Jun in Loughgall, north of Armagh town, and was educated at TCD. He served as headmaster at schools in Santry, Portalington, and for 24 years at the Grammar School in Clonmel. He wrote books, both on spherical trigonometry (with Thomas Preston below) and on geometry. He contributed to the Educational Times. 5. James McMahon (1856-1922) was born in Armagh, and first pursued metaphysics and classical studies at TCD. He then taught mathematics at Cornell for 35 years, serving as chair too, and published extensively in applied maths. He was a founding member of what became the American Mathematical Society, and is believed to be the first Irish person to supervise a doctoral thesis. He wrote three books, on calculus, geometry and hyperbolic functions, respectively. 6. Thomas Finch (1863-1916) was born in Armagh and educated at TCD. His career was spent teaching at the Dundalk Educational Institution (later known as the Dundalk Grammar School) which he had attended himself. 7. Mathematical physicist Thomas Preston (1860-1900) was born 23 May in Kilmore, Armagh, and was educated at TCD. His short career was spent at UCD, where he did research in electromagnetic and spectroscopic sciences. He is remembered for his work on the analysis of spectral lines, and for two physics textbooks. He also authored a maths book with William McClelland above. 8. Grace Faris (née Acheson, 1885-1973) was born 17 Dec in Portadown, Armagh, and was educated to master's level in Belfast. For many years she taught English and classics as well as maths at Victoria College, rising to the rank of headmistress. Her older sister Molly (1880-1958) had a shorter teaching career in Belfast, having done maths at Girton. Grace's son John Faris (1913-2011) was a logician at QUB. 9. Astronomer Ernst Öpik (1893-1985) was born in Estonia, and educated at the universities of Moscow and Tartu. He lectured at Tartu, Harvard and Hamburg before spending over three decades at Armagh Observatory. His son Uno Öpik (1926-2005) was an atomic physicist who was educated at QUB and later lectured there for over 20 years. 10. Garfield Woods (1906-1973) was born in Derrycory, Armagh. 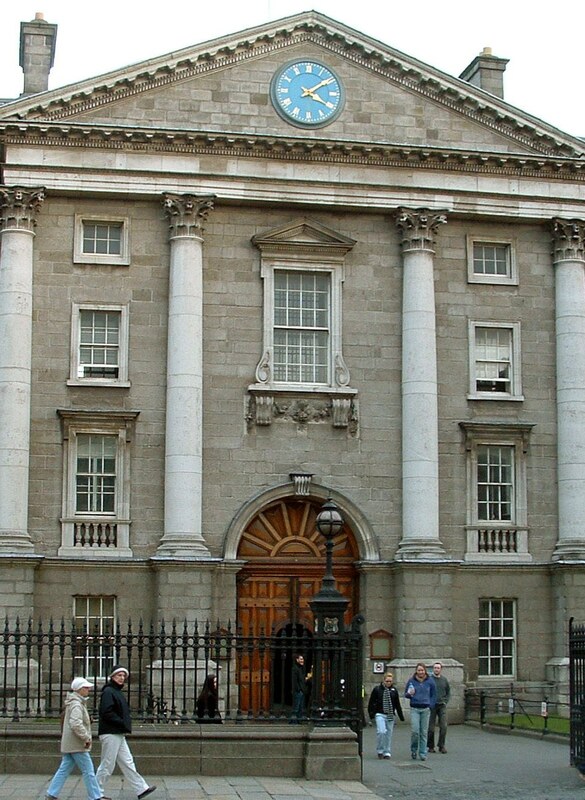 He was educated at TCD, and lectured there briefly before settling in Malaya, where he taught in schools, and rose to become Deputy Director of Education. 11. 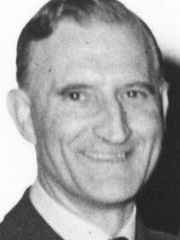 Astronomer Mervyn Ellison (1909-1963) was born 5 May in Fethard-on-Sea, Wexford, and grew up there and in Armagh town where his father served as Director of the Observatory. He was educated at TCD, and then taught in schools and worked for the UK admiralty. However, most of his career was spent at the Royal Observatory in Edinburgh, at Dunsink, and the DIAS. 12. Florence Berryman (1910-?) was born in Armagh town and educated at QUB. Her master's thesis done under William Morton was on "Recent researches on solids in motion in fluids". 13. Sarah Symington (1915- ?) was born in Lurgan, Armagh, and educated at QUB. She taught for many years at Ballinagone, Portadown. 14. Ralph Spearman (1928?-2013) was born in Armagh and educated at QUB. He taught for many decades at the Belfast Royal Academical Institution. 15. Theoretical physicist Arthur Kingston was born in Armagh and educated at QUB, where he earned his PhD on "A study of atomic oscillator strengths and the second Born approximation" with Benno Moiseiwitsch and then spent most of his career on the staff. 16. Tom Short (?-1984?) was born in Crossmaglen, Armagh and was educated at ?? and at TCD, earning his doctorate on "The application of transformer-coupled ratio-arm bridges to precision capacitance measurements" with Brendan Scaife. 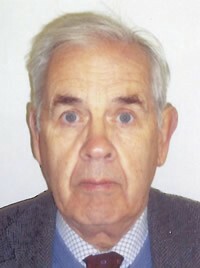 For many years he was the head of electrical engineering at Kevin Street. 17. Richard Watson was born in Portadown, Armagh, and was educated at Maynooth, Warwick and Swansea. He taught at Maynooth for 35 years—earning his doctorate on "Tangent Stars" with Tony O'Farrell along the way—and also served as dean there. He has co-authored two books, Maynooth Mathematical Olympiad Manual and A Resource for Transition Year Mathematics Teachers. 18. John Lennox was born in Armagh and educated at Cambridge. 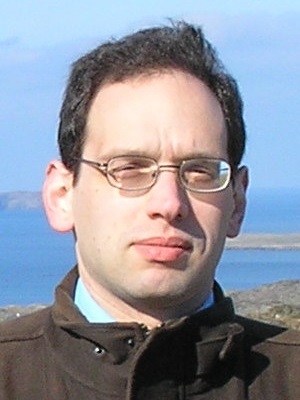 His doctorate on "Centrality and Permutability in Soluble Groups" was done with James Rosenblade. His career included three decades at Cardiff working in algebra and more recently he's lectured at Oxford on maths and theology. 19. 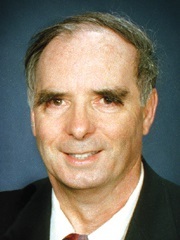 Theoretical physicist Michael Murtagh (1943-2001) was born 27 Jul in Lurgan, Armagh. He started his education at Maynooth, and then at UCD, from which he earned an NUI Travelling Studentship. His Harvard PhD (done with Richard Wilson) on "TSP Hadron angular distributions in in-elastic muon proton scattering" was completed while he worked at Brookhaven National Labs, where he spent his whole career. 20. 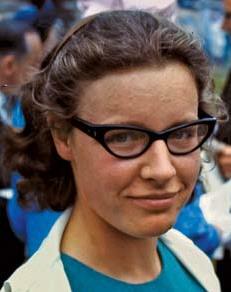 Astronomer Jocelyn Bell Burnell (née Bell) was born in Lurgan, Armagh, and educated at Glasgow and Cambridge. 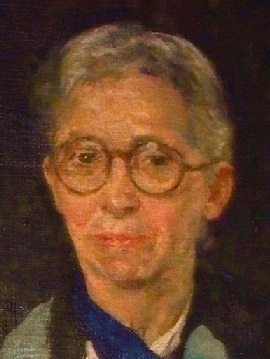 Her doctorate on "The Measurement of radio source diameters using a diffraction method" was supervised by Antony Hewish. Her career has included stints at the Universites of Southampton and London, the Royal Observatory in Edinburgh, the Open University, Bath, and Oxford. She is best known for her co-discovery of pulsars. 21. Tom Conlon was born in Armagh and educated at QUB and Bristol. His PhD on "The Ordinals < E_0" was done under John Mayberry. His career has been split between telecommunications and teaching at the secondary level. In more recent years he has focussed on 17th century scientific translations. 22. Ivan Graham was born in Portadown, Armagh, and grew up nearby in Derrykeevan. He was educated at Edinburgh and the University of New South Wales, doing his doctorate on "The Numerical Solution of Fredholm Integral Equations of the Second Kind" with Ian Sloan & Will Smith. Most of his career has been spent at Bath, where he has supervised numerous doctorates and authored two books. 23. Astronomer Mark Bailey was born in England, and educated at Cambridge, Sussex and Edinburgh. His doctorate on "Evolution of galactic nuclei" was done with Peter Brand & Victor Clube. 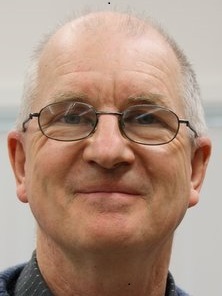 For over 20 years he served as Director of the Armagh Observatory, retiring in 2016. 24. John Harte was born in Armagh and educated at Cambridge and QUB. He recently retired after a long career at Dundalk IT. 25. Astronomer Apostolos Christou was born in Greece and educated at Athens, Heriot-Watt and Queen Mary College. 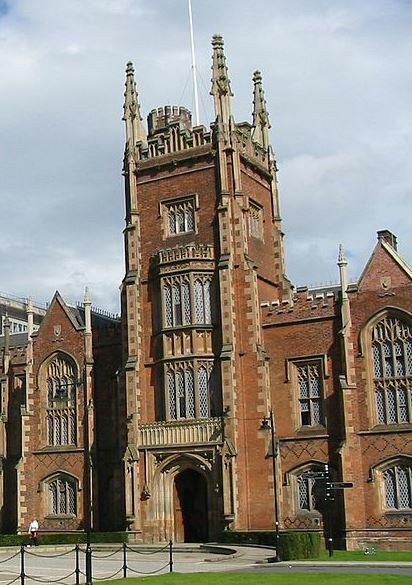 His PhD on "An Investigation of Secular Perturbations in Planetary and Satellite Systems" was done under Belfast's Carl Murray. Most of his career has been spent at the Armagh Observatory. 26. 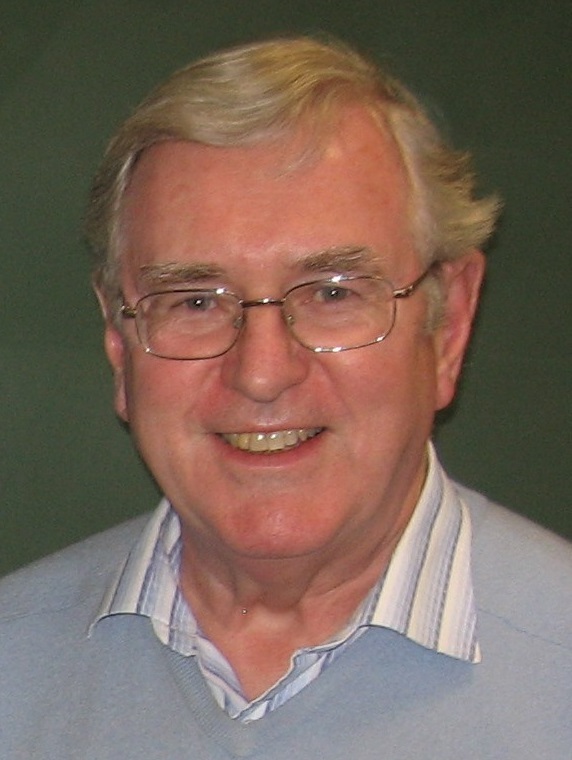 Statistician Adrian O'Hagan was born in Keady, Armagh, and educated entirely at UCD. 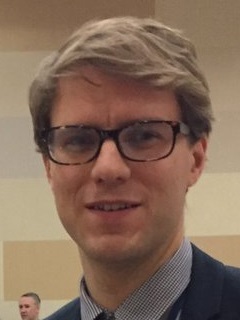 His PhD on "Topics in Model-Based Clustering and Classification" was done under Brendan Murphy & Claire Gormley. He now teaches at UCD too, where his interests include actuarial science, model averaging, and insurance loss data.